Doris Cummings, 91, passed away at Hospice of Dayton and went to be with the Lord on March 28, 2019. She was born March 14, 1928 in Portsmouth, Ohio, to James and Margaret Prior Stout. She worked as a switch board operator at Ohio Bell for 6 years and at Jordan’s Super Valu for 35 years. Doris was married to her husband, Carl Cummings for 48 years. 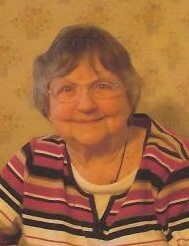 She was a member of Jamestown Church of Christ, enjoyed word searches and reading the newspaper. Doris is survived by her daughter, Debbie Cummings Little; grandson, Darrell Little; great-grandson, Dustin Little; brother, Jerry Stout; special family friend, Jim Davis. She is preceded in death by her parents: James and Margaret Stout, Ida Mae Stout; husband, Carl Cummings; brothers, Jim Stout, Richard Stout; sisters, Dorothy Deese and Ruth Ann Jones. In lieu of flowers, make donations to Silvercreek Township Emergency Squad. Visitation will be held from 6:00 P.M.-8:00 P.M. on Tuesday April 02, 2019 at Powers-Kell Funeral Home in Jamestown, Ohio. Funeral service will be held at 11:00 A.M. on Wednesday April 03, 2019 at Powers-Kell Funeral Home in Jamestown, Ohio. Burial will follow at Silvercreek I Cemetery in Jamestown, Ohio.